This beautiful watercolor print of a Shinto Shrine Torii in Kyoto Japan represents a shrine vistor's transition from a profane space to a sacred one. 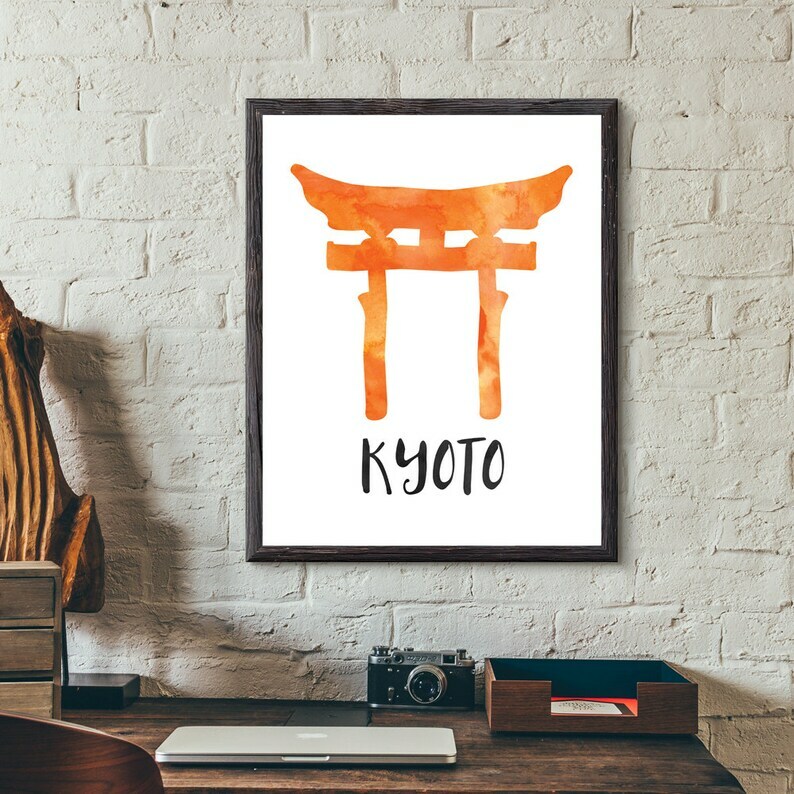 Beautiful, yet simple in design, this print is the perfect accent for home or the office. It makes a great gift, or better yet, get two and keep one for yourself.